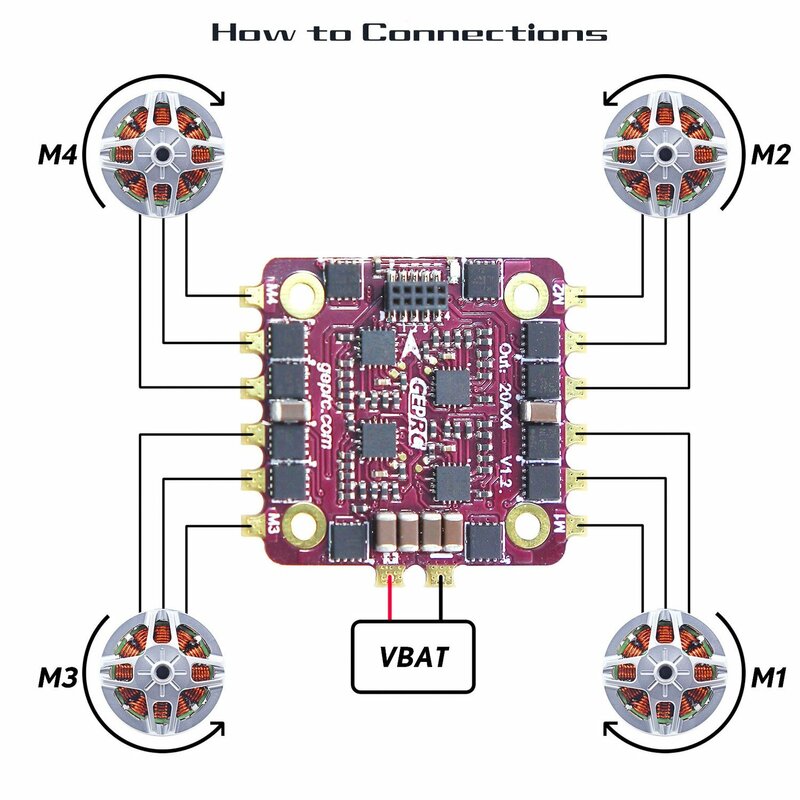 – Adopt the current popular tower structure solution, simple installation. 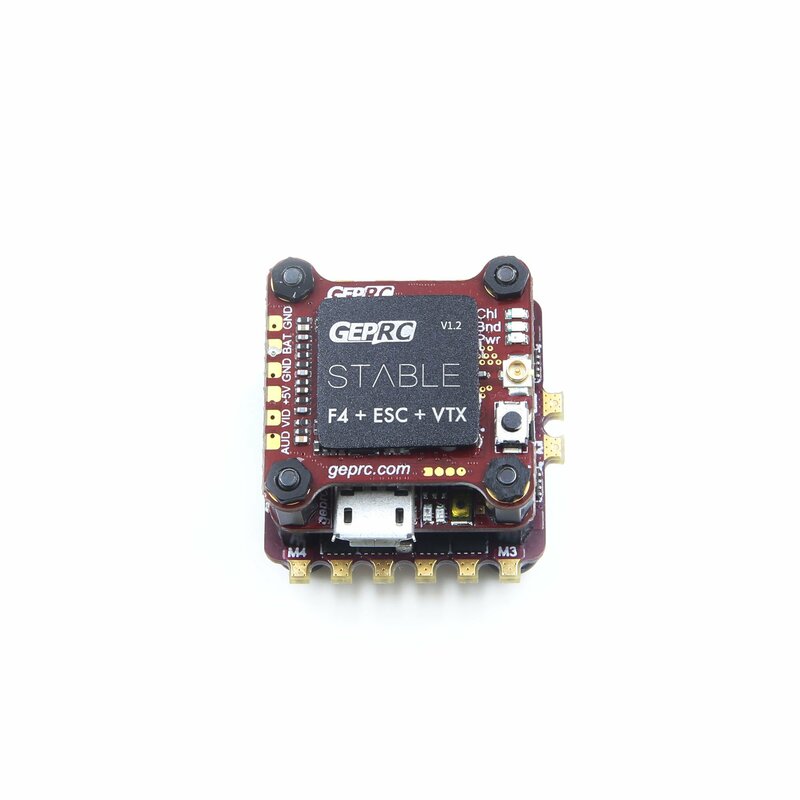 – Fast installation, and very stable. 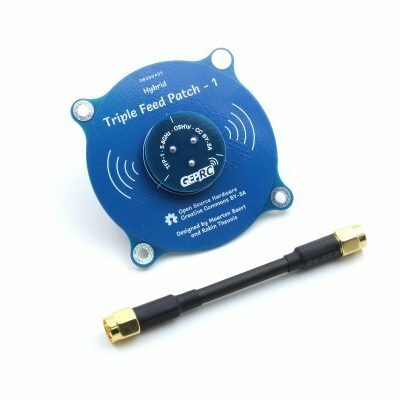 – Mounting Hole 20*20mm, suitable for most racks. – CPU: STM32F405, dual 8K. 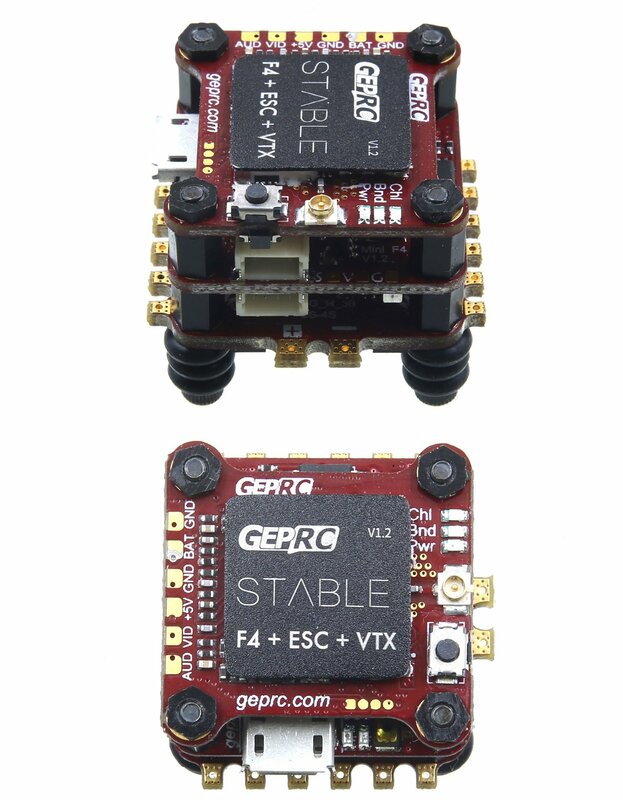 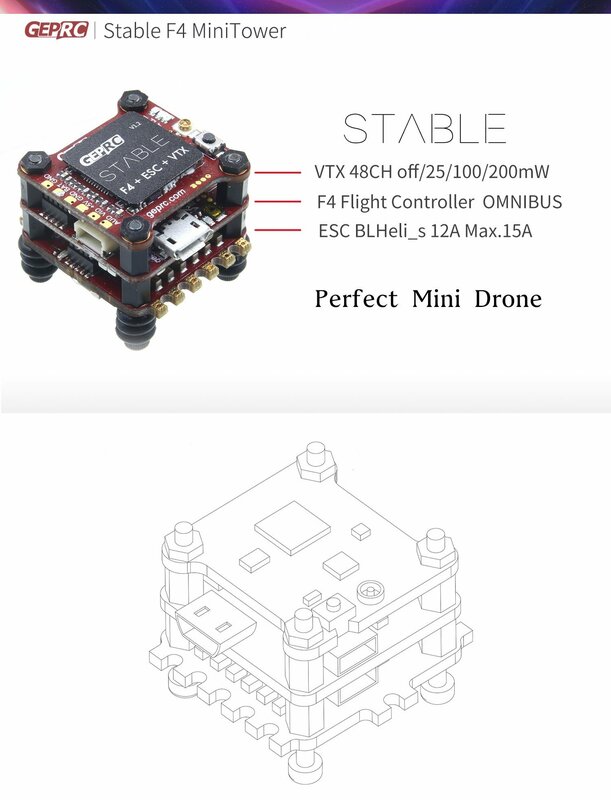 Stable F4 MiniTower is the solution of the tower structure designed by our team specially for the micro drone FPV, Integrated flight control, esc, VTX.It has been updated to V1.2, very stable. 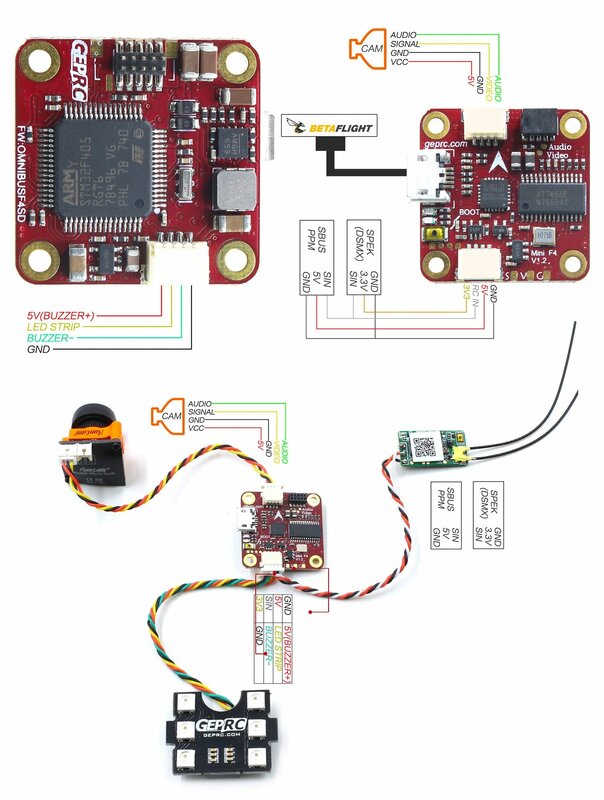 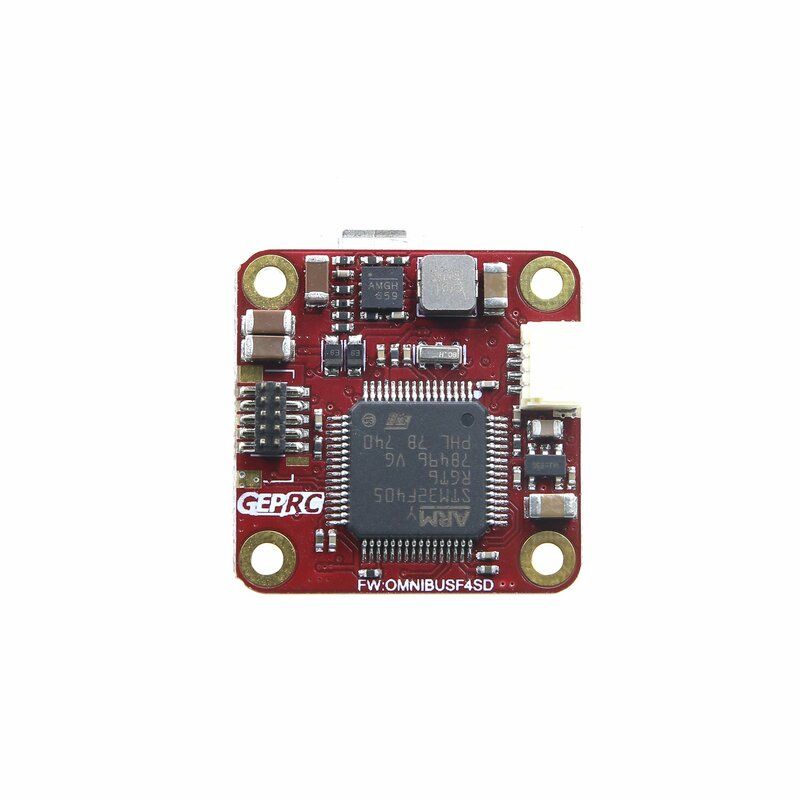 The firmware is relatively mature based on the flight control design of OMNIBUS/ OMNIBUSf4SD (Betaflight). 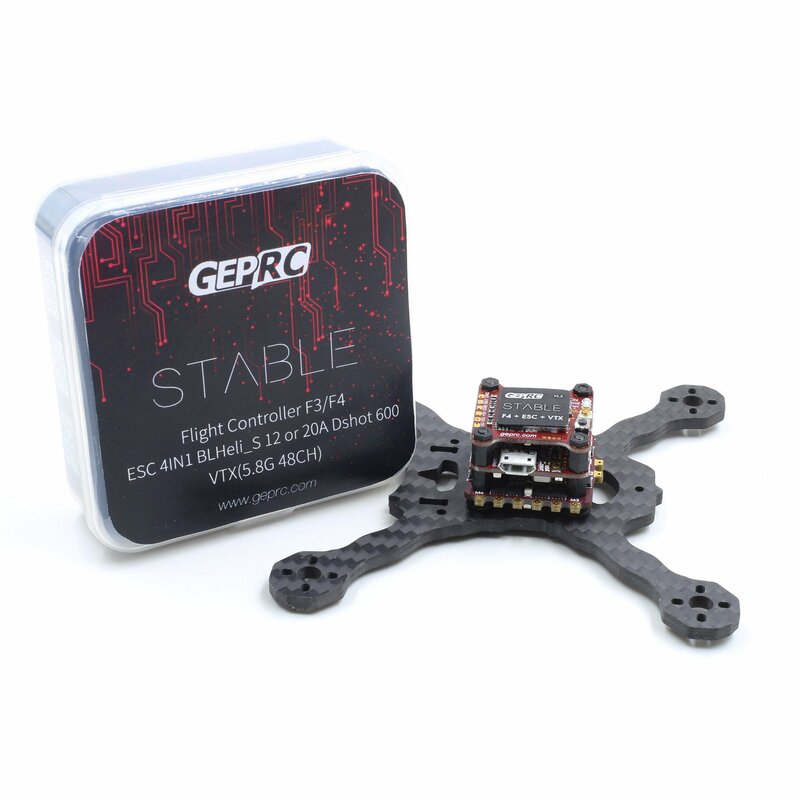 The Stable Mounting Hole is 20*20mm, which is suitable for most racks. 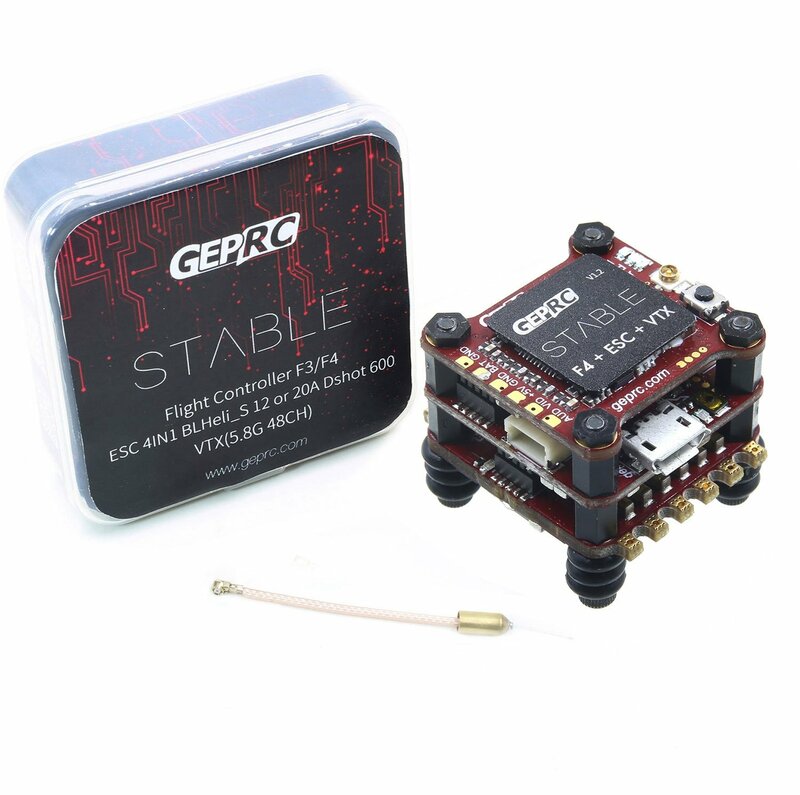 Simple, Stable is the advantage of Stable F4 MiniTower. 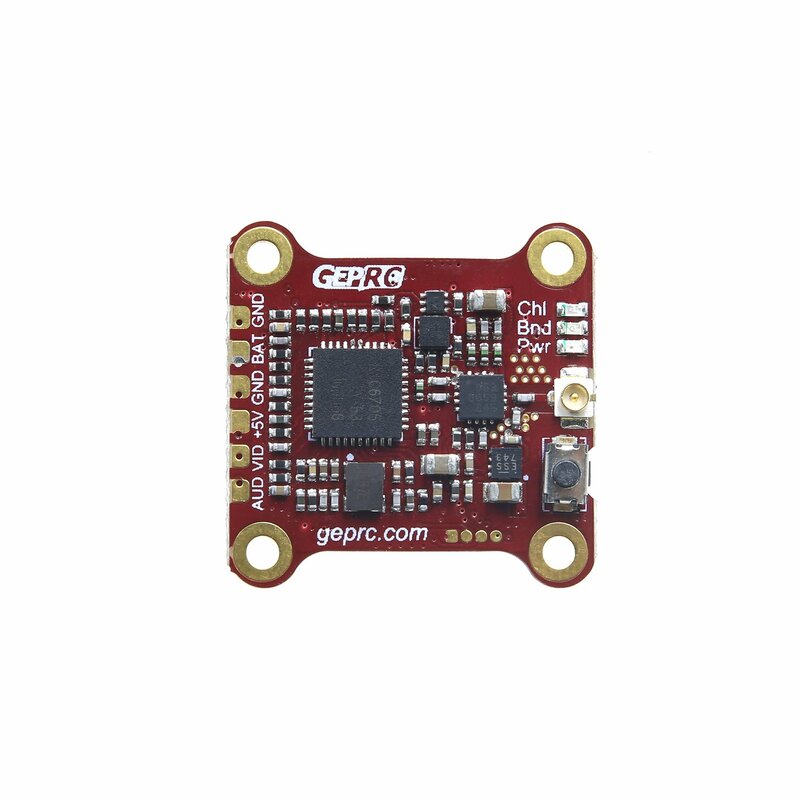 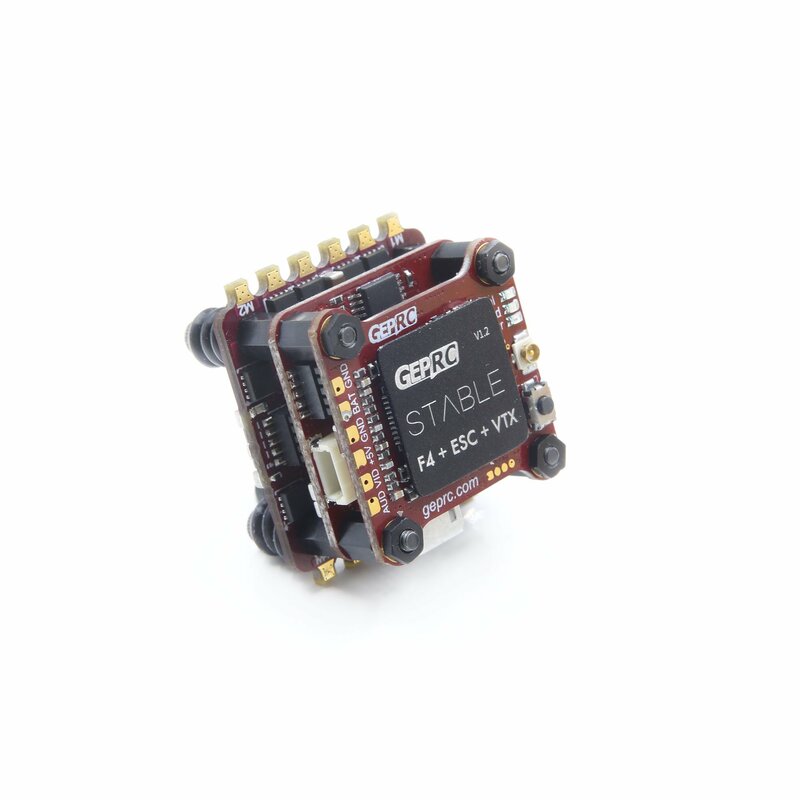 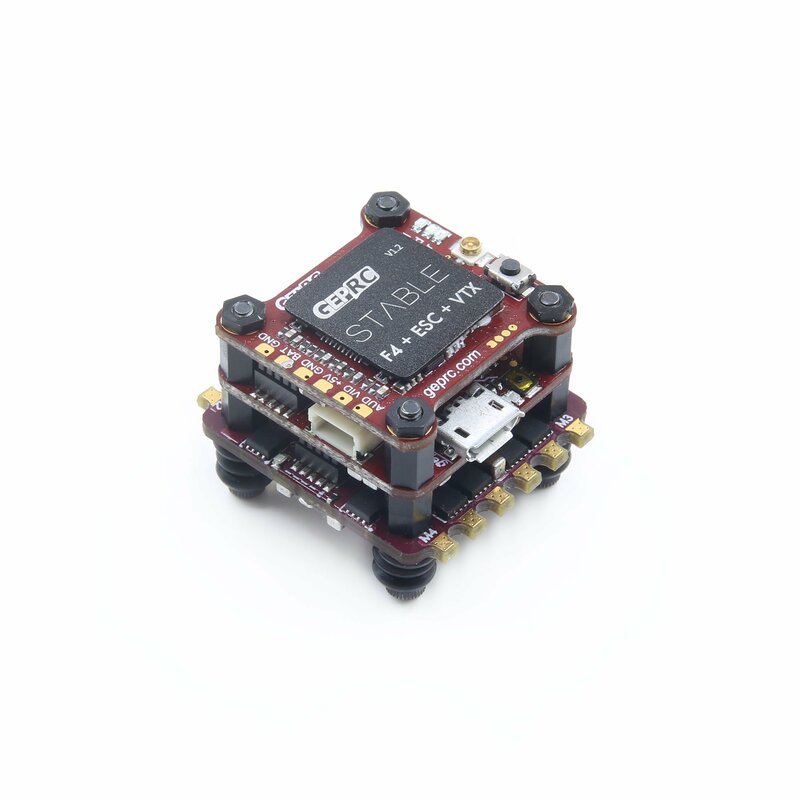 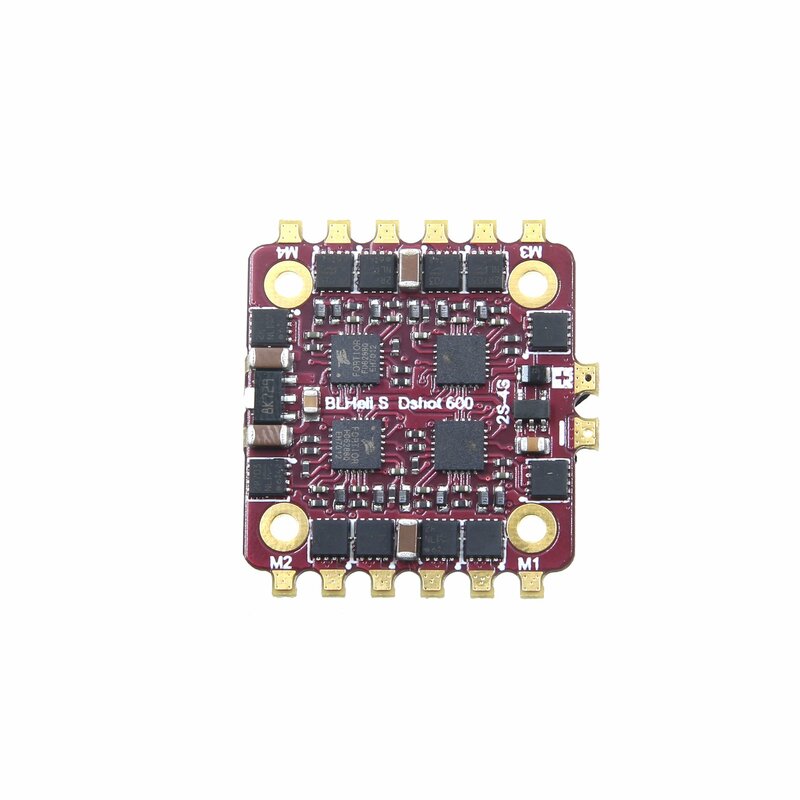 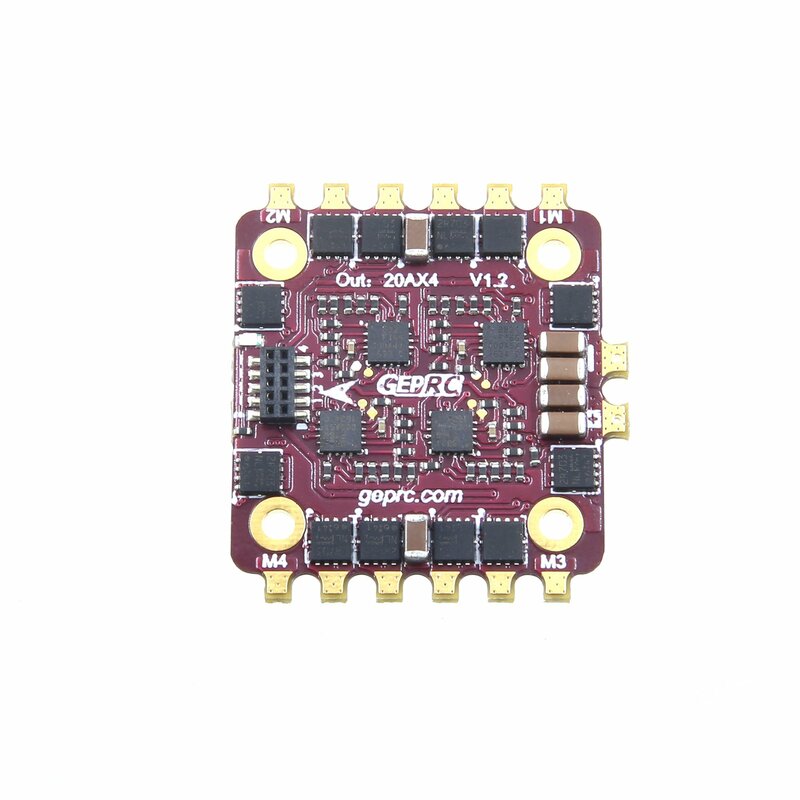 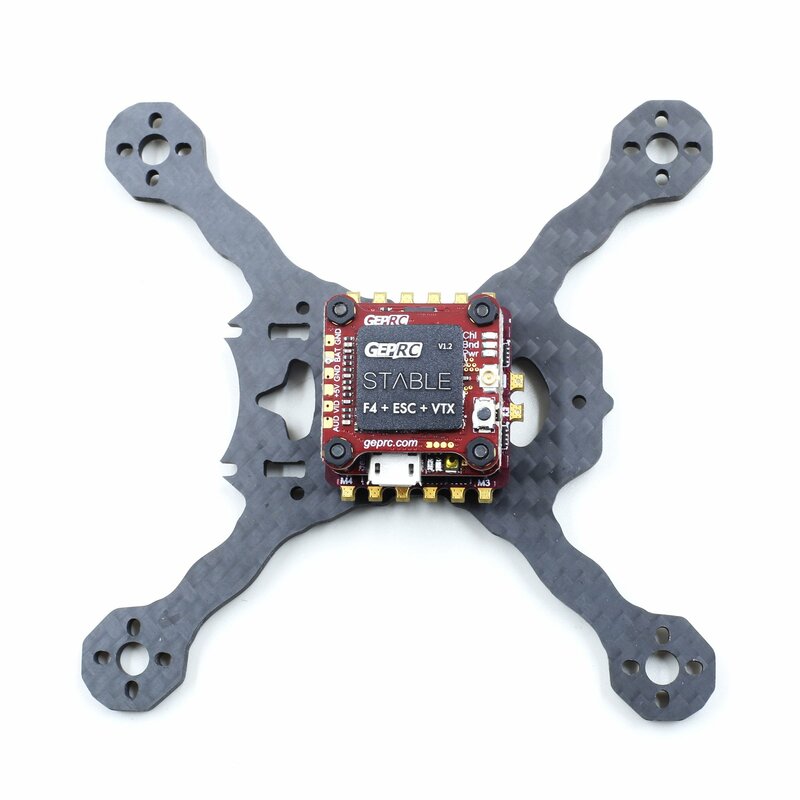 The 4IN1 esc is based on the BLHeli_s, which supports the fast throttle response of Dshot, with two versions 12A and 20A. 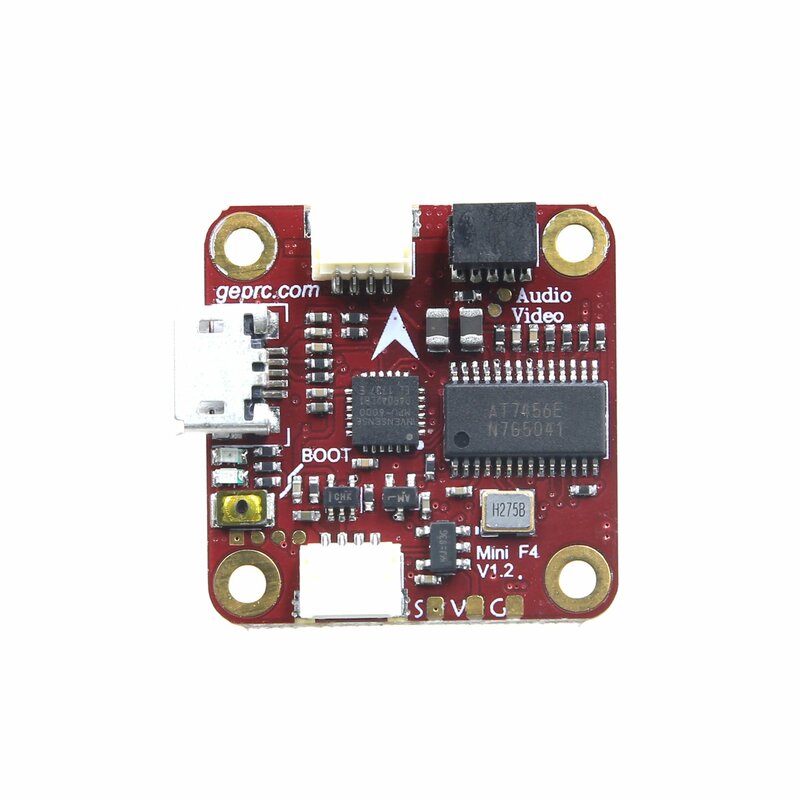 The power of 5.8g VTX is optional for off/25/100/200mW. 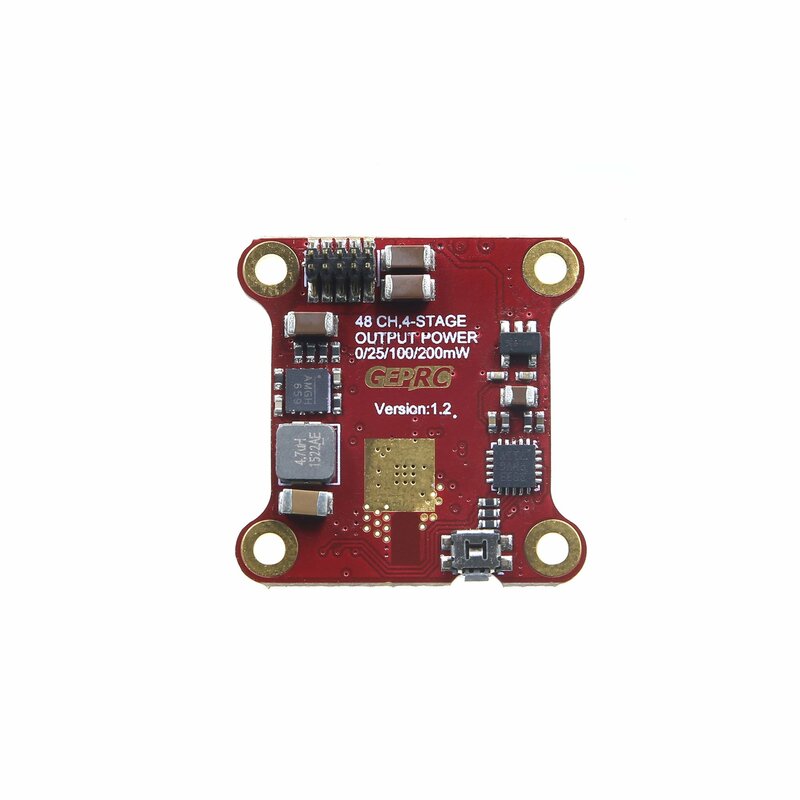 It can also close the power of the power output, not affect other pilots, and has 48 channels adjustable, audio input function and accurate power. 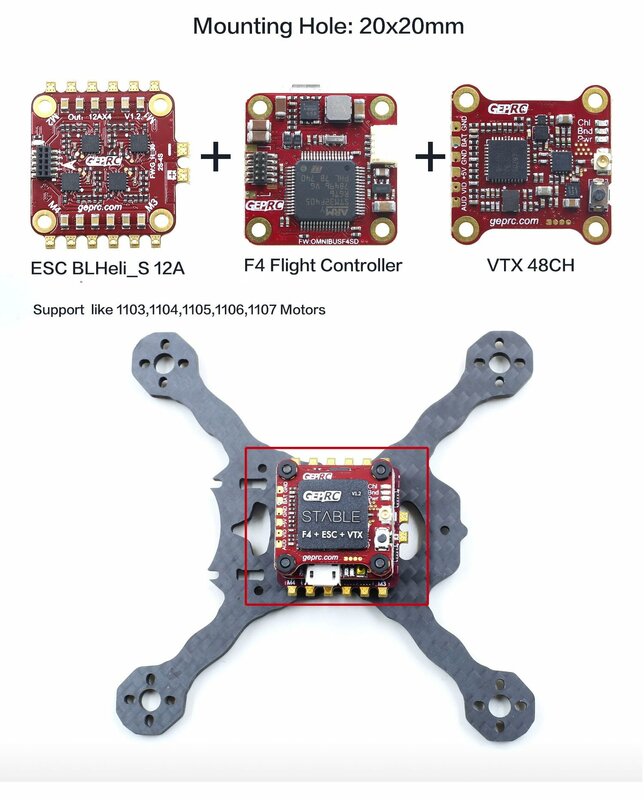 F4 flight control, they are coordinated, highly integrated, very stable, and easy to install, reducing the pilot’s installation time. 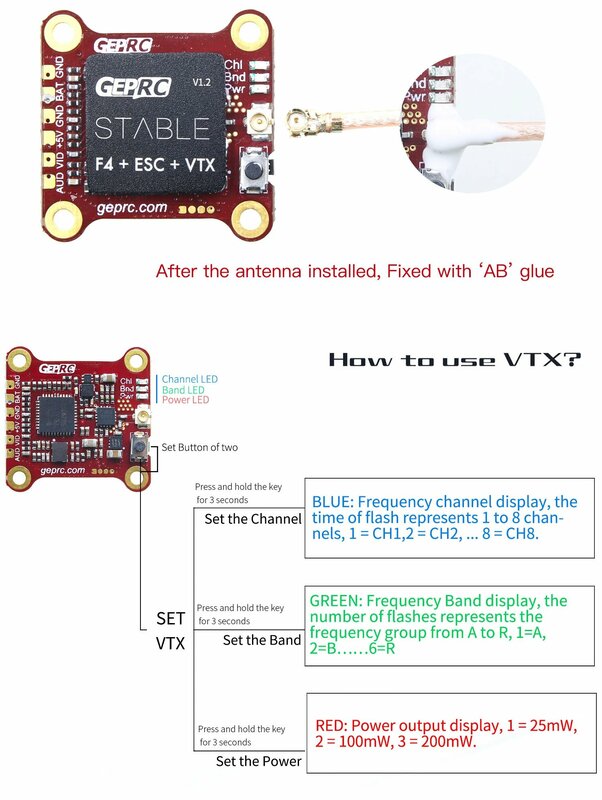 Adopt the current popular tower structure solution, simple installation. 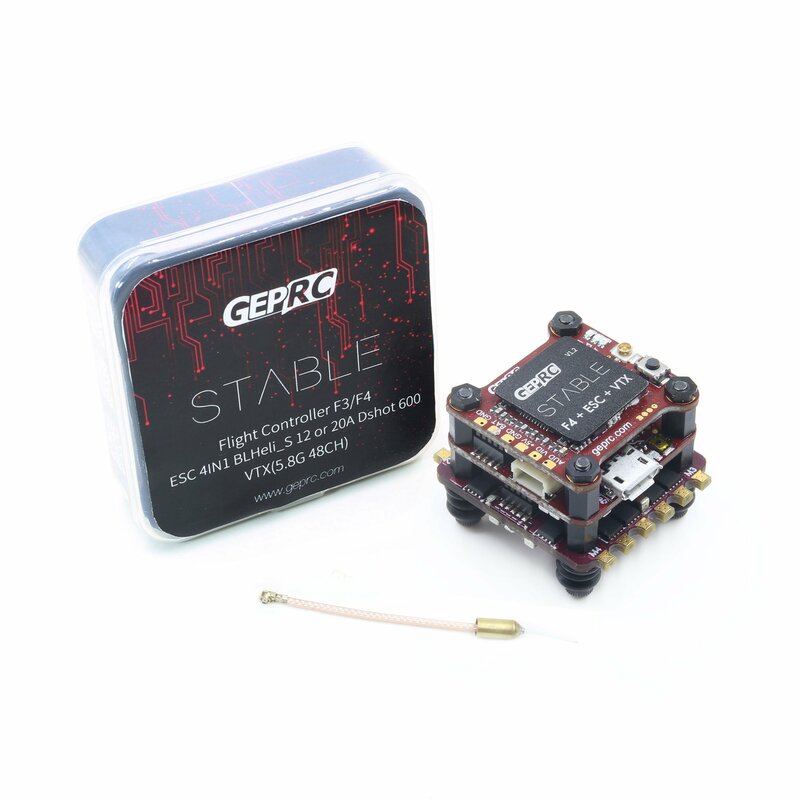 Fast installation, and very stable. 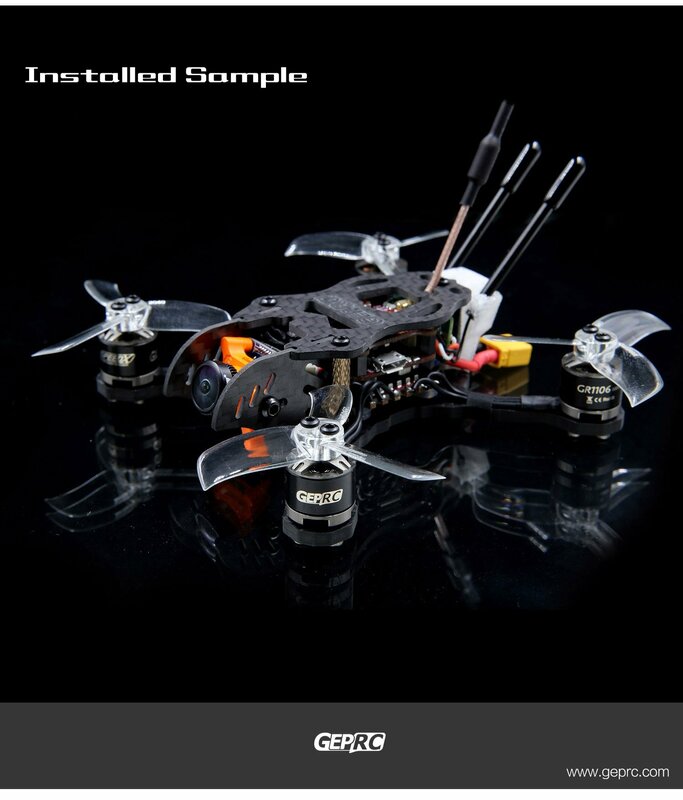 Mounting Hole 20*20mm, suitable for most racks.